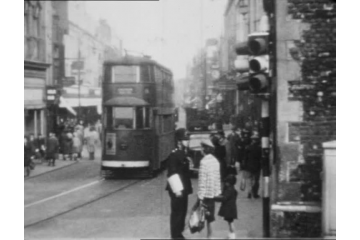 The Croydon moving image collection gives a good overview of various aspects of the history of Croydon in the twentieth century. This ranges from early footage of the fire station at Park Lane (not the Keystone Cops!) to scenes of Croydon life in the 1920s and during the dark days of the Second World War. There is also footage of the post war reconstruction and the celebration of Croydon's Millenary (1000 years of the Parish Church of St John the Baptist) in 1960. Located in the centre of Croydon, the Museum of Croydon is the place to come to research the borough's past, present and future. Croydon has a long and distinguished history, and our galleries, Research Room and archives hold a wide range of material to help researchers find out about Croydon's people, buildings, events, decisions and landscape. Access: Access to Croydon's archives is free and we will endeavour to support you to conduct your own research. Advanced notice (not less than a week) is required to view VHS or DVD. 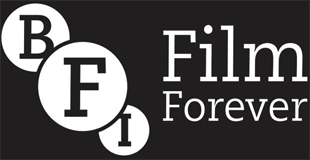 We regret that we do not have facilities to view other formats. We are open Tuesday-Saturday, 10:30am-5pm. For a borough with such a distinguished history, we hold relatively little moving image. We are interested in any form of moving image which illustrates events in the history of Croydon and the various locations within it. My favourite film is the views of Croydon in 1943. This was filmed in a lull during the air raids: Croydon had suffered heavy damage in the blitz between Autumn 1940 and Spring 1941, including a hit on the Town Hall. The heavy damage sustained under the 'Doodlebug summer' of 1944 were yet to come. The film shows Croydon attempting to return, as much as possible, to reality.